LSAT tips and law school admissions strategy Email: help@thinkinglsat.com. March LSAT scores are rolling in and the phones are ringing off the hook. Nathan and Ben are starting to hear tales of triumph for some test takers and bitter disappointment for others. What better way to celebrate your victory or soothe your LSAT rage than to Zen out for a bit with today’s guest. 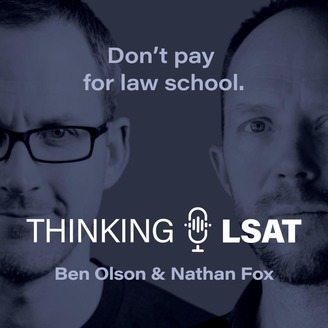 The guys interview Nina Marinaro of Zenprep.org, a company that brings a mindfulness-based approach to LSAT prep, law school admissions, 1L success, and more. The guys also reach back in time to answer question 1 on the June 2007 LSAT. Happy listening! Ben and the rest of the gang have been working hard this past week, tweaking the Demon and expanding its AI mind. The platform is getting super sharp when it comes to serving up questions that challenge you at your level based on your answer history within the Demon. Based on feedback, the LSAT Demon is becoming some students’ favorite way to practice LSAT questions on-the-go. Head over to LSATdemon.com to sign up for a free trial and check it out for yourself. April 24th y’all. Mark it. It’s the last day to register for the June LSAT, which is the last paper + pencil test…maybe ever. (At least if you’re one of the lucky people randomly assigned paper + pencil on test day.) So if you’re planning to take the June LSAT, or you’re itching for a chance to have one last go with yer Ticonderoga #2, don’t miss out. Go register now. 5:09 – June 2007 LSAT: Section 1. Question 1. The guys dive in to the OG practice test. The June 2007 LSAT. They’ve worked through nearly all the questions of this test, but now they’re headed back to the very first question. It’s a Logic Game! Nathan and Ben walk through how they create worlds for the game. They cover common pitfalls. And they slice and dice their way through the questions once their setup is complete. Get your pencil and paper and 2007 LSAT ready and follow along. Nina Marinaro is a lawyer, yoga teacher, and future-lawyer coach. She spends her time helping stressed-out students avoid burnout and become productive professionals. She developed her ZENprep MindfulMethod through her own experience dealing with stress and burnout as she prepped for the LSAT, scored in the 90th percentile, made her way through law school, passed the NY Bar, and began practicing as a lawyer and lobbyist. 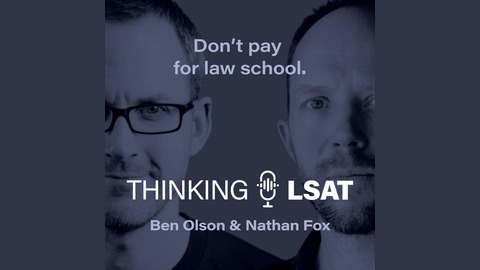 The guys talk to Nina about her story and explore the ways would-be law students can reduce stress and succeed in their path to practicing law.